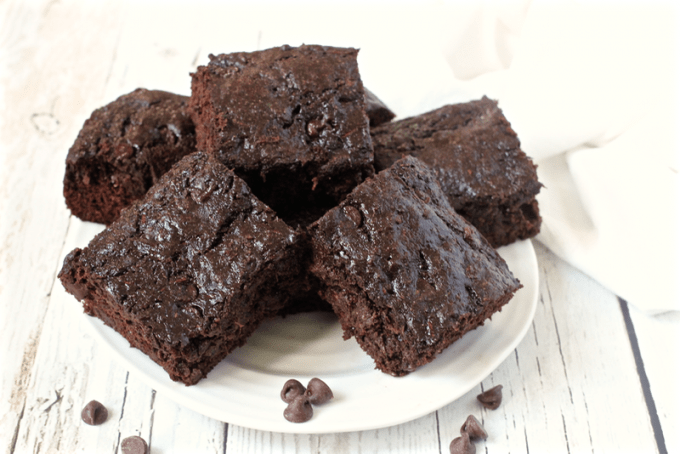 Chocolate chip zucchini brownies are rich, decadent and delicious – no one will realize they are secretly healthy! 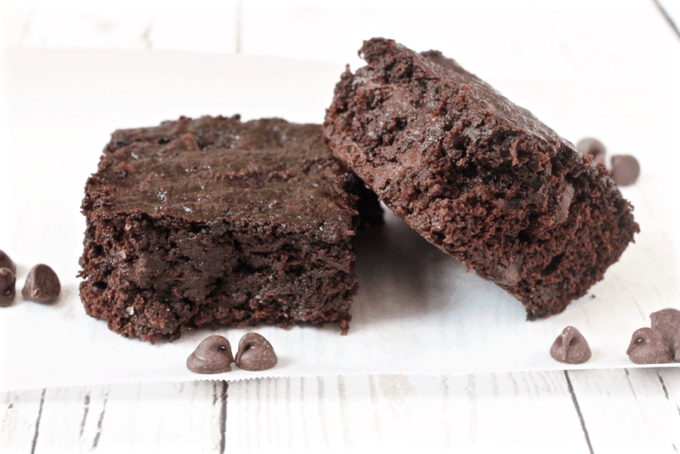 Whole wheat and loaded with zucchini, these brownies make a perfect treat! I hope you all have some fun celebrations to look forward to today, or at least later this week! That’s right, these gorgeous brownies aren’t what they seem at first glance. They are loaded up with veggies! What?! 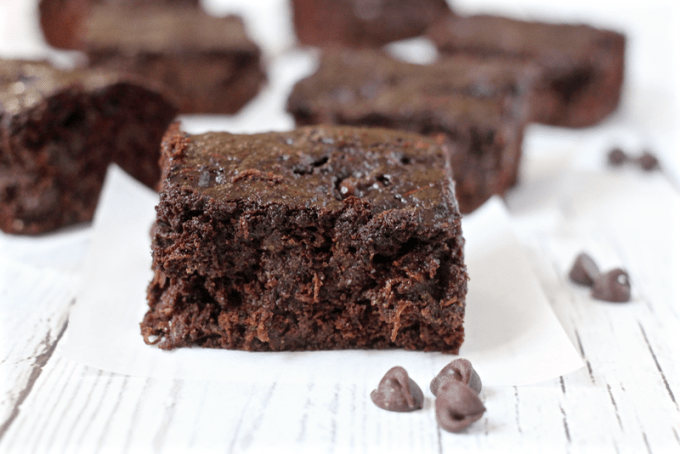 So, I’ve been making these chocolate chip zucchini brownies for years. Normally, it was always to help use up some of the zucchini from my garden at our old house – which tended to produce A LOT of zucchini! You know how it is… the plant goes crazy and you are constantly uncovering more and more and more zucchini. So I’d be making chocolate chip zucchini bread, vegetarian stuffed zucchini, harvest zucchini muffins, almond butter zucchini muffins, zucchini turkey burgers and even zucchini cheddar whole wheat waffles. They feel festive with their little green bits tucked away in all that chocolate. Soft, melty, festive chocolate — yup, definitely how I want to celebrate! I don’t bother peeling the zucchini. Just use the fine side of your grater. The 2 cups of grated zucchini is measured before you squeeze the extra moisture out. Grate 2 cups then squeeze with paper towels or a kitchen towel to get the extra water out. You’ll have a compact little ball of zucchini. Break it up a bit as you add it to the batter so the zucchini gets incorporated. This size batch yields 9-16 brownies, depending on how you want to cut them. 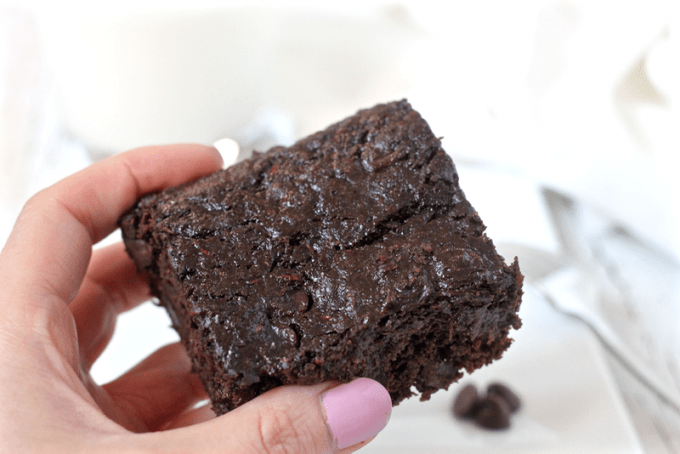 (We like big, thick brownies here!) I’ve also baked these in an 8×4 bread pan to have a mini batch. Alternatively, you could double the recipe and use a 9×13 baking dish. 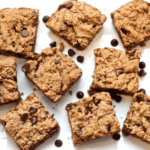 Make these chocolate chip zucchini brownies. Soon. 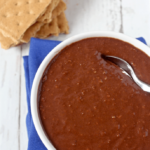 You’ll be getting wafts of chocolate-y goodness in no time and they’ll come out warm and melty and thick and beautiful. You’ll be in chocolate heaven! 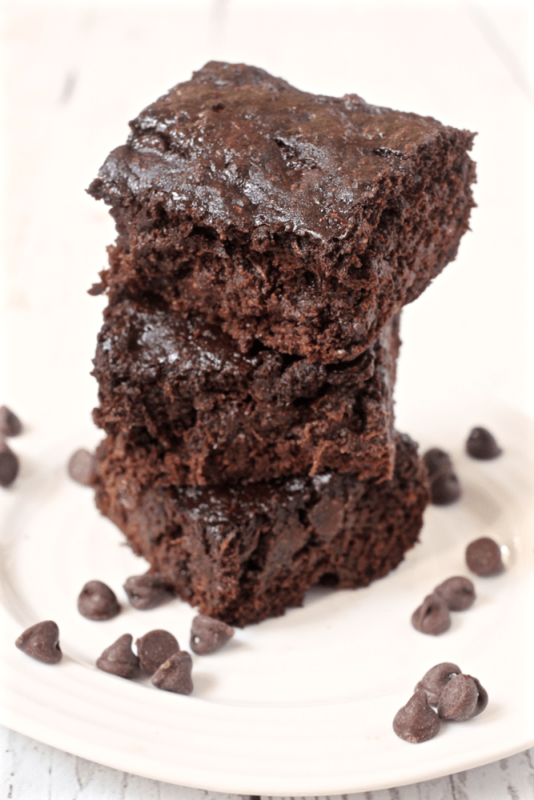 Decadent and delicious (and secretly healthy) chocolate chip zucchini brownies! Preheat the oven to 350 and spray an 8x8 pan with cooking spray. In a large bowl, mix the eggs, sugar, applesauce and vanilla until well combined. In a separate bowl, mix the flour, cocoa powder, baking soda and salt until well combined. Add the dry mix to the wet and mix until just combined. Don’t over mix. Add the zucchini and chocolate chips and gently fold in to the batter so everything is evenly distributed. Pour into your prepared pan and level out the mix with the back of a spoon. Bake for 30-35 minutes, until done. 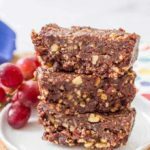 Check with a toothpick - the brownies are gooey but shouldn’t be raw. Once cooled, store in the refrigerator. (They keep better this way because of all the moisture from the zucchini.) I kind-of prefer them cold but you can heat in the microwave if you want them warmed up. You can substitute regular all-purpose flour here if you prefer. I don't bother peeling the zucchini. Just use the fine side of your grater. The 2 cups of grated zucchini is measured before you squeeze the extra moisture out. Grate 2 cups then squeeze with paper towels or a kitchen towel to get the extra water out. You'll have a compact little ball of zucchini. Break it up a bit when you add it to the batter so the zucchini gets incorporated. Adapted from Texan Erin. 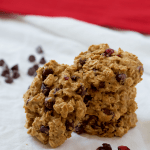 She's got tips on making this gluten-free and dairy-free too. 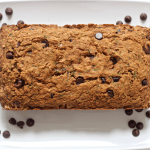 Zucchini really does do amazing things in baked goods – especially when paired with chocolate!! Sneaky veg in a sweet treat – what’s not to love! These are very good. My family really liked them. I’m SO happy to hear that Ann! Thanks so much for sharing! Was the 2 cups of zucchini measured before or after you squeezed it out? I plan to make these soon! Great question Cheryl! I grate a full two cups then squeeze it out (it will be a lot less and very compact). Make sure to fluff it back up a bit when you’re adding it so the zucchini gets incorporated. I hope you enjoy them! Kathryn, thank you for the quick reply – making soon! Just put them in the oven! Double batch so I can take one to a friends house and leave some for my family. 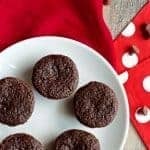 I used dark chocolate cocoa powder and they smell so good! Aren’t you a sweet friend?! Thanks so much for leaving a comment – I hope you all enjoy them!